List three tips for using gift guides. Describe how you can feature gift guides in navigation. List three potential gift guide types. Explain the difference between a gift builder and a gift finder. Explain how product sets can make gifting easy. You can make gifting easy by creating awesome holiday-specific categories that act as gift guides. They show up when you want them to, and disappear when their time is done. Gift guides are an opportunity to be innovative and to think out of the box. They are a great way to make gift decisions easy. These are a few tips. The Home Page—Feature them on the homepage and show them in the navigation. The Entire Journey—Reinforce them throughout the shopper journey, and leverage “No Search Results” pages. Be Creative—Be creative with different types of gift guides. Have fun with it! Leverage Email—Don’t forget to feature them in your email campaigns. Change it Up—Change your gift guides over the season to keep the message fresh. Popularity—Push popular gifts on top of the product list. Reusable URLs—Re-use the URL each year. It doesn’t matter if you have many gift categories or just a few. It’s a good practice to feature them in the navigation to make sure they aren’t missed by your site visitors. If you have content slots in the navigation, that’s even better! This lets you include an attractive image to enhance a visual perception. You can also feature a product or category within this slot. You can create any number of gift guides. These are some popular gift guide types, depending on product range. Gift guides by gender have proven to be really effective and commonly used by retailers. Add different creatives to reinforce your message and encourage customers to click through further. 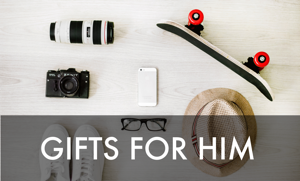 Use a popular theme for your gift guides. Group products by color to create a visually attractive theme. Use a popular movie theme. Use a common holiday theme, such as stocking fillers. Consider using a wish list as a gift guide. A popular trend is to create a celebrity inspired wish list. Gift guides by price prove to be practical. Budget guidance is a useful feature due to the amount of gifts shoppers typically buy today. Make sure your marketing campaigns are consistent through all of your channels. 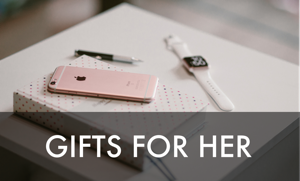 Feature gift guides in your email campaigns. Consider altering your guides over time. This provides your customers variety and gives you a chance to regroup products based on changing stock levels. You can present one set of products early in the season, and another later. It’s always good to display that last-minute gift category. Gift builders let shoppers build a product, such as a customized pair of sneakers or a box of candy. With gift finders, shoppers take a quiz that helps them identify what to buy for a gift. For example, they take a quiz about their friend’s interests and are directed to a list of products that meet their criteria. Offline to Online Experience The fictional XO’s Candy Company has taken the brick-and-mortar store experience and brought it online. Just as if you’re standing at the candy counter, you can build your own box of chocolates online by picking the box size and filling it with your (or your friend’s) favorite candies. Gift Builders like this one not only support the holiday season, but can be used for year-round gift giving on your site! Gift Builder: Product Designer On the fictional Jazzy-Jewelry storefront, shoppers can build pendant necklaces by selecting the chain metal, quality, and size, and the pendant’s stone and metal type. Items can be added to a wish list, printed to bring for in-store purchase, or simply ordered online. Gift Finders Quiz Gift finders are used in place of a traditional gift guide. On the fictional Clothes-Yes! storefront, the shopper can take a short quiz about the person they’re buying for to receive a curated list of gift items that might be perfect for them. This quiz focuses on the recipient’s style and color preferences and the shopper’s budget. Gift Finder/Selector Great-Cloth, a fictional apparel retailer, uses a short quiz to make gifting easy. 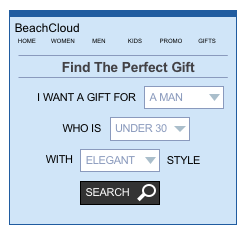 After selecting from three dropdowns, they see a personalized gift assortment. This short quiz is featured prominently on their homepage during the holiday season. All their (fictional) customers love it! Gift Finder by Skill/Experience Level Another example is to create a gift assortment based the recipient’s skill level in a particular sport or activity. An experienced, trophy-winning runner, for example, would have a different assortment than a person who likes to take long walks. Another way that you can make gifting easier is by creating product sets for your shoppers to purchase. A product set is a group of products that can be ordered together or separately. A home goods company, for example, can create product sets for some of their holiday products. This makes it easy for a shopper to purchase a set of special holiday China, for example, to make their holiday dinner shine. One click makes a happy host. An athletic apparel company, as another example, can create sets based on athlete preferences, again making it easy for the shopper to purchase all of the same gear as one of their favorite pros. In addition to creating your own product sets, you can use Einstein Commerce Insights to provide feedback on set combinations that you might not have even thought of! In this unit, we learned about the benefits of gift guides and how to feature them in navigation. We looked at examples of gift builders and gift finders to generate ideas. We also explored using product sets to help shoppers select gifts as painlessly as possible. Now it’s time to learn about mobile payment methods! Copyright Rights of ALBERT EINSTEIN are used with permission of The Hebrew University of Jerusalem. Represented exclusively by Greenlight.